Johanna Juhola has been hailed as an undisciplined innovator in the tango genre, a world music icon and a major reformist in the field of accordion music – she has even been called a musical superhero! Johanna shakes up tango traditions wherever she goes. The newest concert ensemble presented by Johanna is a vividly visualized show titled Imaginary Friends. 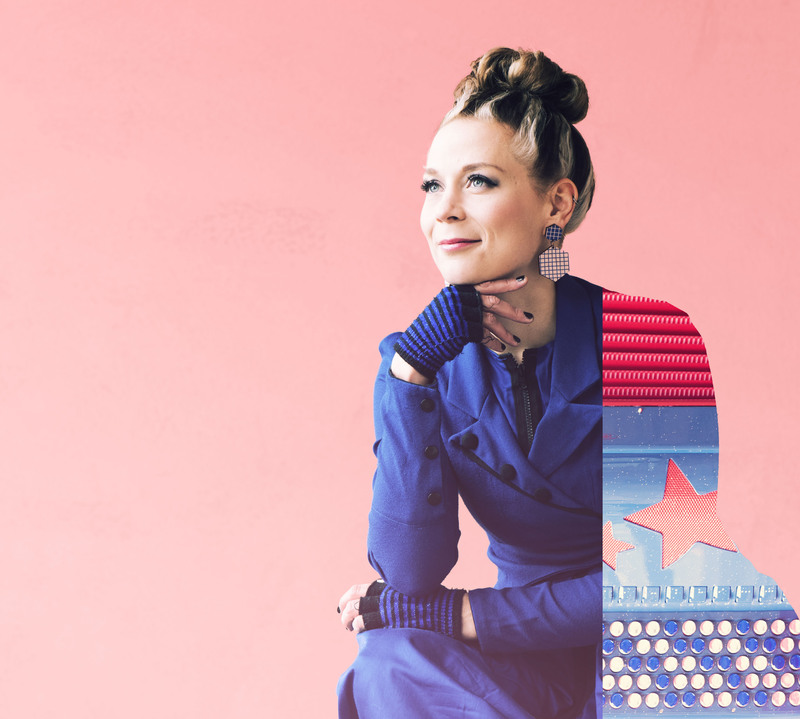 Besides this she performs with her two colourful fantasy tango ensembles, Johanna Juhola Reaktori and the Johanna Juhola Trio. Her highly original output and collaborative work with top names from the classical, jazz and even electronic music scene has sealed her reputation as a groundbreaking and genre-transcending visionary. Harmonikkataiteilija Johanna Juhola on uudistanut mielikuvaa harmonikasta soittimena ja häntä on kutsuttu mm. harmonikan supersankariksi ja tangon kurittomaksi uudistajaksi. Omaperäinen musiikillinen tuotanto ja yhteistyö niin klassisen kuin jazz- ja konemusiikinkin huippunimien kanssa on tehnyt Johannan tunnetuksi varsinkin maamme rajojen ulkopuolella.